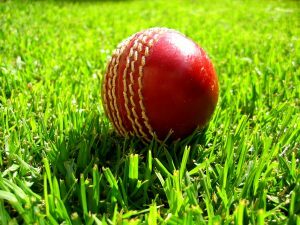 Anyone who has followed the defeat of the England cricket team at the weekend, and indeed over the last winter, cannot escape the conclusion that English test cricket is in a crisis, as has so frequently been observed over the last 100 years or so. The appointment of a coach who was selected for his track record in the shorter forms of the game (“white ball cricket”) as opposed to test matches (“red ball cricket) has only highlighted this problem. Their defeat at the weekend by Pakistan only highlighted the fact that many of the England players, while being highly adept at the sort of aggressive fast scoring that is needed in white ball cricket, are woefully underprepared for the patient, slower building of a large innings over the course of several hours, like Alastair Cooke is so good at. And why would they be? Test matches last five days, and the players have no other experience of five-day cricket. County Championship matches last four days, most other tournaments last one day, and in the shortest form of cricket a game is over in just three hours. Now the cricket authorities in England are planning to introduce an even shorter competition to attract more interest. A similar change is taking place in the missions world. 56 years ago, when first-class one-day cricket was introduced, the concept of ‘short-term’ mission barely existed. Now the number of British people, mainly students but increasingly retired people, going on a short term mission trip number in the thousands every year. Like white-ball cricket, it’s popular and accessible. Unlike long-term mission, which is more like test cricket. It requires a lot more training, time and commitment to get established. The quick results that are needed for short-term are replaced by the disciplined and patient endurance that builds into powerful impact for the kingdom of God even if it’s not quite so spectacular. How we can get the thousands of people who love the thrill of short-term mission to convert to the longer form is as challenging as making test match players out of T20 players. We would love to see more of the short-termers coming back as long termers, and while many long-term mission workers started their vocation with short-term there is apparently little evidence that short-term engagement increases long-term recruitment. Just as in cricket, they are two different forms of the game and there is not an automatic crossover from one into the other. Many facets of mission need long-term commitment. Quite apart from the challenges of language acquisition and cultural adaptation which need a significant investment of time, activities such as theological education, community transformation, and Bible translation don’t readily lend themselves to being done by short-termers. So we still need more long-termers, rather than less. Short-term mission can be justified in its own right, and has a place alongside long-term, as long as it is done well, contextualised, and done with cross-cultural sensitivity and respect (see the Global Connections Code of Best Practice for examples of how this might be achieved). It is not merely a recruiting ground. But there does also need to be a focus on maintaining and developing the long-term workforce that keeps mission going forward when the short-termers go home. Just like England will never win the Ashes with a team full of IPL stars.